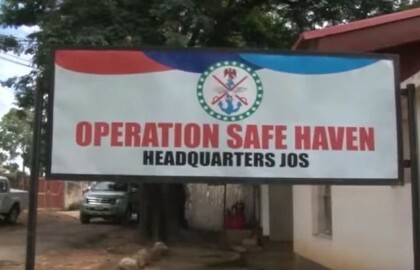 As more rural communities in Plateau come under attacks, Operation Safe Haven (OPSH), the outfit in charge of security in the north-central state, says it has reinforced measures to check the trend. Maj. Adam Umar, its spokesperson, in a statement in Jos on Tuesday, said that patrols had been intensified in affected areas to ward off further attacks. “We have adopted stringent measures to deal with the situation; we shall not relent until every corner in Plateau is secured,” Umar said in the statement made available to the News Agency of Nigeria (NAN). NAN recalls that 11 people were killed and 12 others injured in Du District of Jos South where gunmen invaded Dwei community on Sunday. Two other people were also confirmed killed in Kpachidu village in Bassa Local Government the same day. Umar, who described the attacks as “unfortunate”, said that the patrols would be intense to ensure that there was no hiding place for the attackers. The official assured the general public of OPSH’s determination to protect lives and properties, and urged them to cooperate with security outfit.